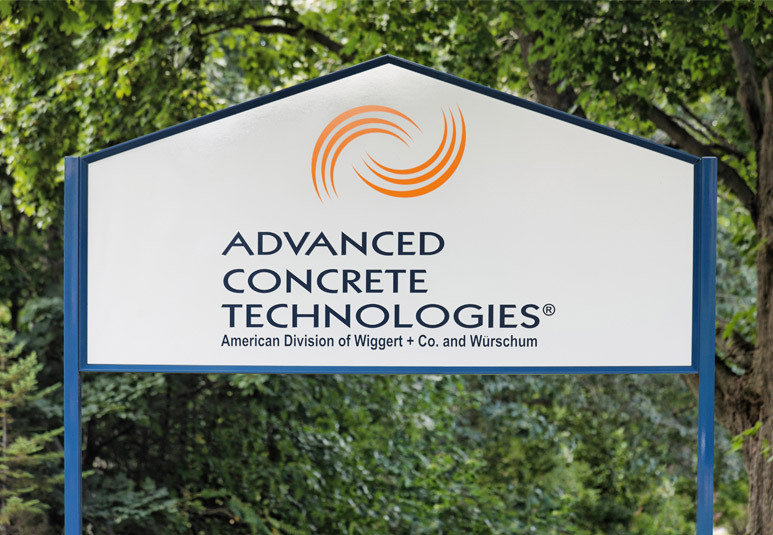 The American headquarters of Advanced Concrete Technologies had been located previously on the edge of a noisy runway at Pease International Tradeport, Portsmouth, New Hampshire. This single source supplier of mixing and batch plant equipment solutions for the concrete industry urgently needed more space and quarters that were more representative of their corporate image. 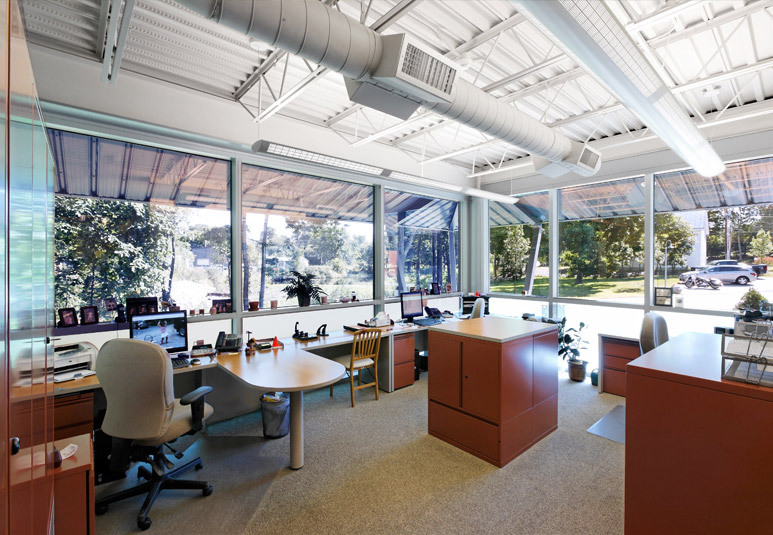 The need for manufacturing space and expanded training facilities led the design program. The left side of the new structure was designed to house the manufacturing and warehouse area while the right side contains the company’s offices and training components. 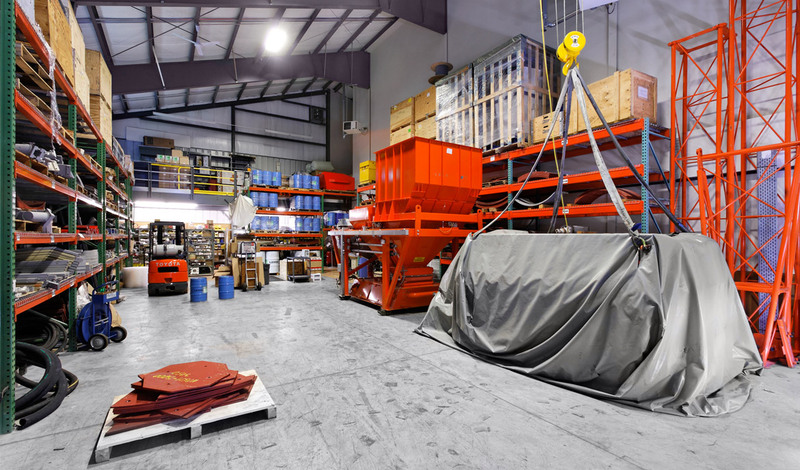 ACT delivers the industry’s most technologically advanced solutions for concrete fabrication. They needed one building that could serve all their needs and also be illustrative of the “advanced cutting edge technology” philosophy of their business model. 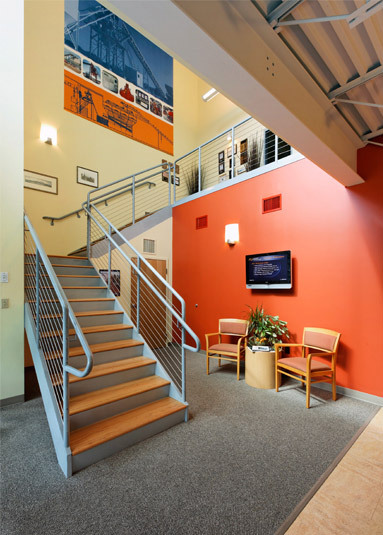 Working with a standard metal building from Steelway, the construction and design team embellished the office and training facilities to emphasize the visual impact of the building as well increase its overall functionality. In the new building, the loading dock is proudly located next to the pedestrian access to the building; normally, warehouse functions such as this would be situated at the back of the building. Customer service, training support and warehouse functions all coexist in close proximity as a result of the building’ layout. 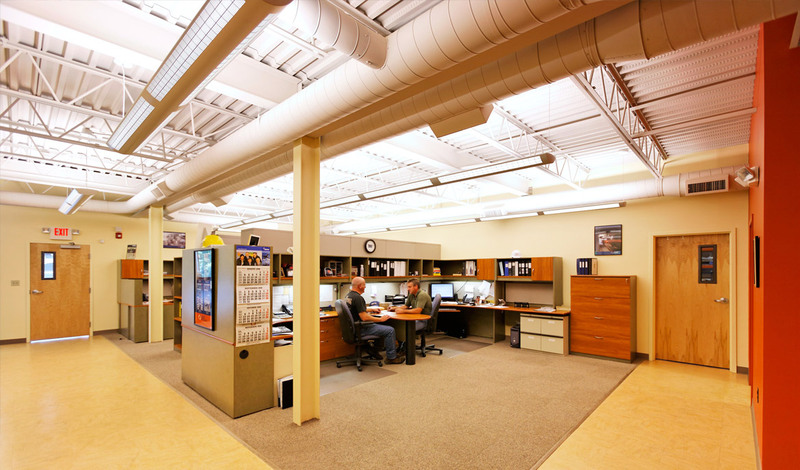 Ultimately, the floor plan increases overall efficiency for ACT’s staff and customers by fostering the interdependency of office, support and warehouse functions. The owners of the company were adventurous in the design and willing to experiment with dramatic colors and material in the interior. 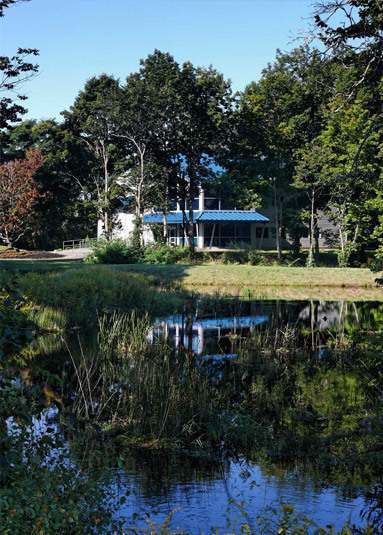 They were also very conscious of the site and were committed to renovating the existing pond and dam system. The site and building work together to enforce sustainable opportunities and present a functional contemporary image that is a reflection of their business model. At the conclusion of the project, ACT’s American headquarters has the space it requires, room for future growth and the visual presence that the company deserves. This project clearly demonstrates that it is possible to produce a striking and functional building while working within the parameters of a tight budget and modest materials.